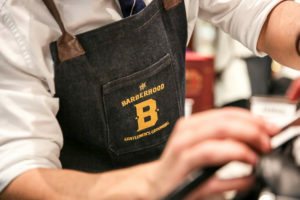 The Barberhood™ voted AUSTRALIA’S BEST BARBERSHOP by GQ Magazine has an opportunity for an experienced hairdresser or barber to join our excellent team. SKILLS: You must be proficient in all aspects of male hairdressing including lather face and head shaves, style cuts (long and short), men’s colour and beard shaping. Preferred applicants to have 3-5 years cutting experience but open to talented junior barbers who can cut hair and shave! Hours : Full Time – NO WEEKENDS. Please note you must have working rights within Australia. Sponsorship available for the right candidate – however you must work for us for a period of 6 months before this is possible.